Continual prayer is always appreciated. After all, we are in HAITI. – 1. 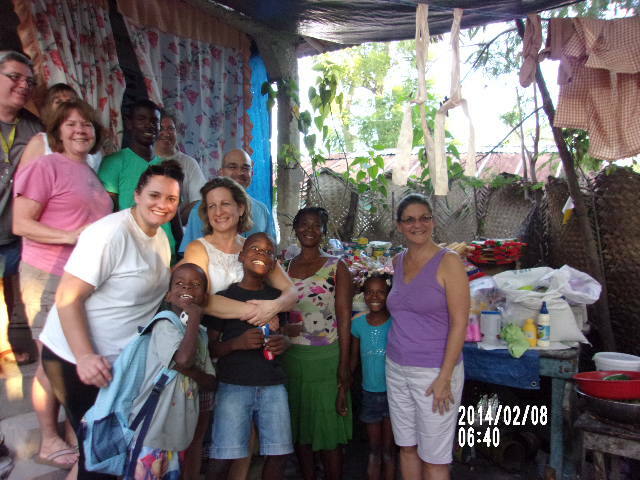 2016 Mission House Yearly Lease: Due Jan. 1, 2014 – $3,700.00 U.S.
– 5. Big Mitsubishi Truck needs new transmission. – $2,200 U.S.
– 6. Prayer Church still needs a roof. It was blown off a few years ago during the summer hurricanes. We would really love to see this repaired as there have been many many miracles and divine healings come out of this place. – $4,000 U.S.
Zeen went to be with the Lord on 10/6/15 and her husband is still not well. 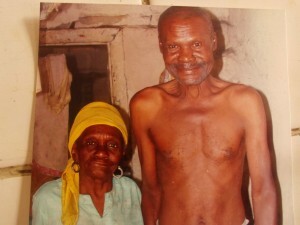 Please continue to pray for him and for their grandson, Franscois. * After we returned to Haiti last Fall we learned that there was more to Zeens story. Much more. As Zeen was returning home from taking Francious to school the reason she was hit by the motorcycle was because she was pulling a small child out of the way to prevent them from being hit and injured or even worse, killed. Zeen not only suffered tremdously, she risked her life for another. No greater love than this. Zeen is a true HEROINE. Even with the doctors saying she would probably never walk again, 6 months after the accident and 8 days in a coma, Zeen and the family walked a little more than a mile to tell us good bye before we left for the states. We serve a mighty God! This is Zeen, Ifodi, and Francious. 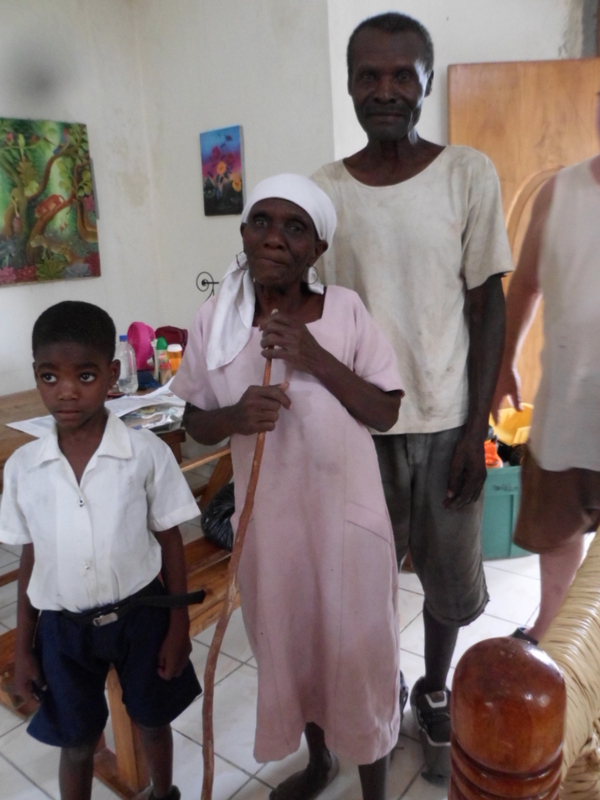 Many of you that have come to Haiti have met Zeen and her grandson or at least heard their story. On Thursday Jan. 17th Zeen had just walked Francious to school and dropped him off. On her way back home, she didn’t seen a motor cycle coming when crossing the road. She was hit by the motor cycle and a small Tap Tap truck was right behind it and ran over her. Smith got the police and he rode with her as they took her to the Pierre Payan hospital. We immediately gave him money to help start medicine and care. 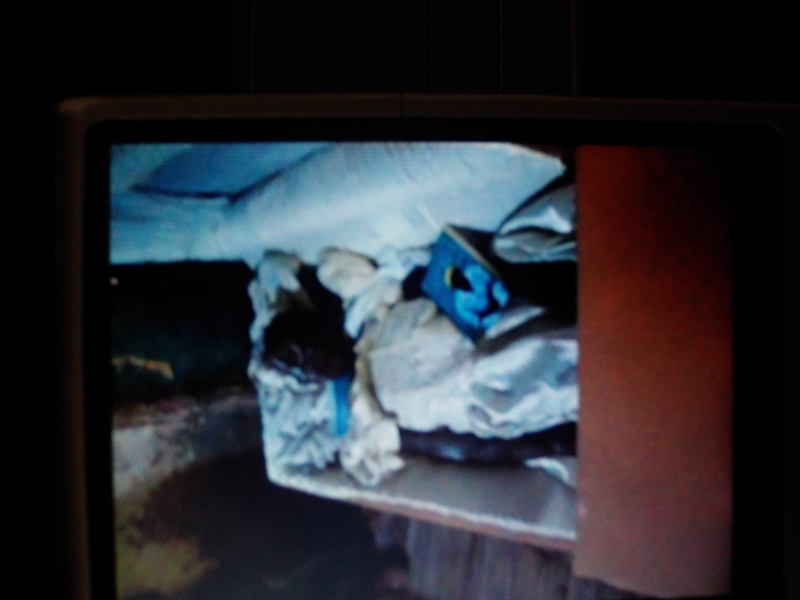 She lay unresponsive for several days. We’ve been getting good reports the last couple of days. 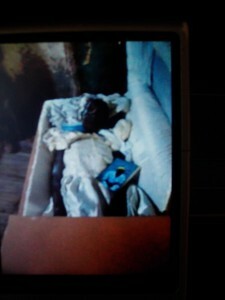 Yesterday afternoon Ifodi told Richard she was sitting up some, talking and eating. Praise the Lord!! Zeen is not out of the woods yet. She still needs much prayer for a complete and speedy recovery. Any one wishing to help with these medical needs you can send them to Feed My Sheep, P.O. Box 341 Bell, Florida. 32619 and earmark: Zeens Medical. Thanks for all the prayers already sent. This is Zeen just getting home from the hospital. Recently she was hit by a motorcycle while returning home from taking her grandson to school. Right behind the motorcycle there was a small TapTap truck that ran over her. She was rushed to the hospital where she began a series of medications, IV’s and observation. She was comatose for several days. After much prayer, she woke up, began to talk, and a few days later began to eat food. 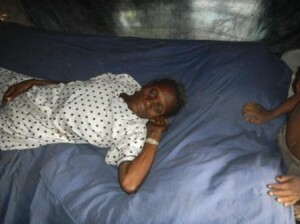 She is a small frail lady and will have a long road to complete recovery. Please continue to pray for her. This is another praise report of how God works things out. When the St. Pauls team from NJ were in Haiti to finish Ramones house and seeing that circumstances had changed with the unexpected death of Mdm. Ramone, they had extra money and they were able to spread the love to others. As you can see, the house that Zeen, her husband and grandson Francious had was not only an Adobe, but one that was literally falling apart. With the extra money the team had, they paid a years rent on this house. A two room sturdy house. 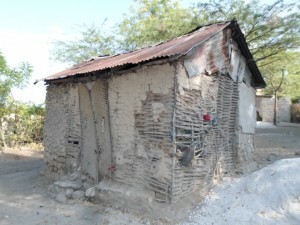 It may not look like much to us as Americans, but to this extremely poor family it is a mansion. PTL and thank you St. Pauls UM. **It’s like the story from the Bible of woman’s flour barrel, or Jesus feeding the 5000 with 3 fish and 5 loaves of bread. It just seemed that the funds that St. Pauls UM brought with them to finish Ramones house just seemed to spread the good to many more. This picture is at Lomisias house. Jerry and LoLo’s mother. 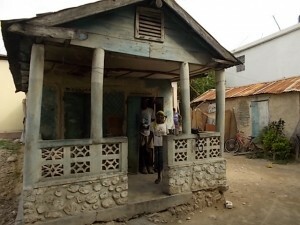 Lomisia had a nice business in her yard consisting of just about anything the Haitians need for their daily living. Just before the team arrived, Lomicias house was broken into and all her savings stolen. She was out of business and devastated. It was put to the team for discussion and they agreed to give some of their extra funds to Lomicia so she could restart her business. PTL and thanks St. Pauls.